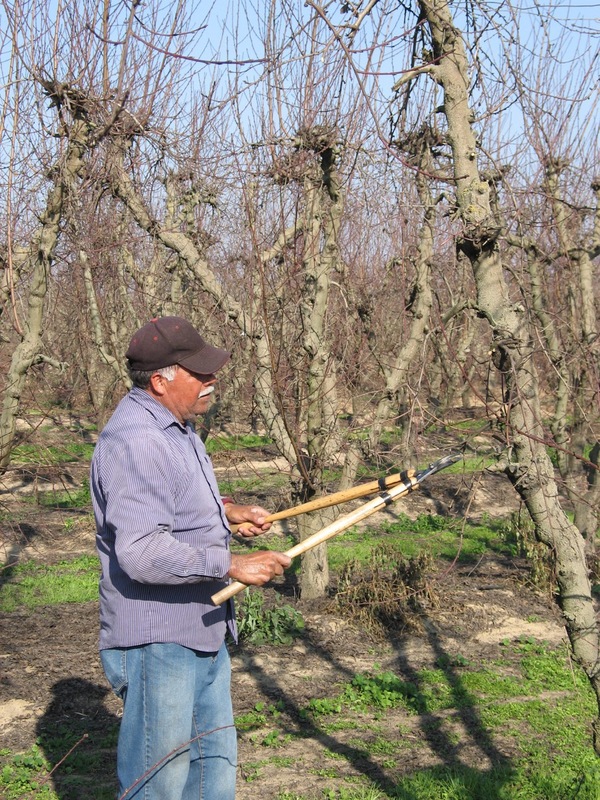 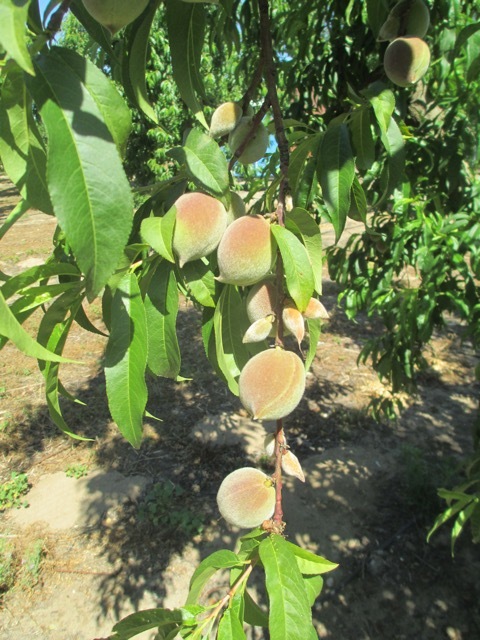 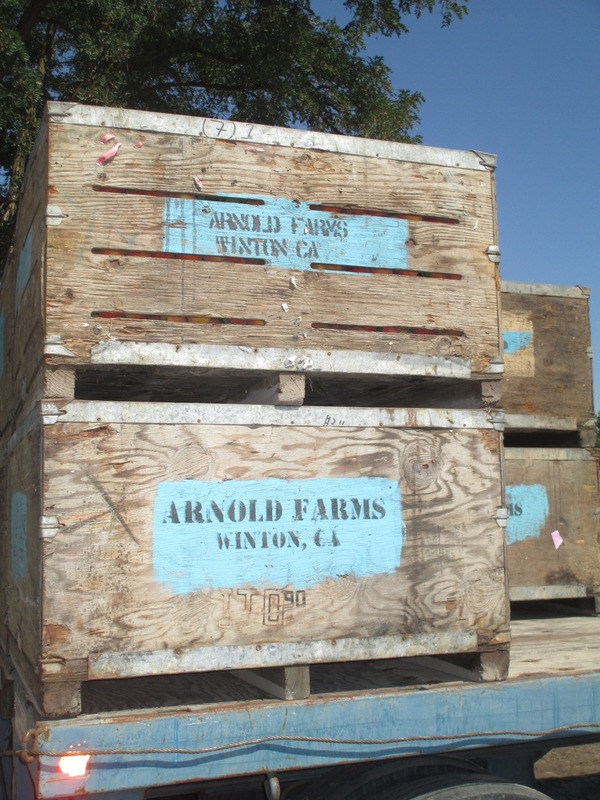 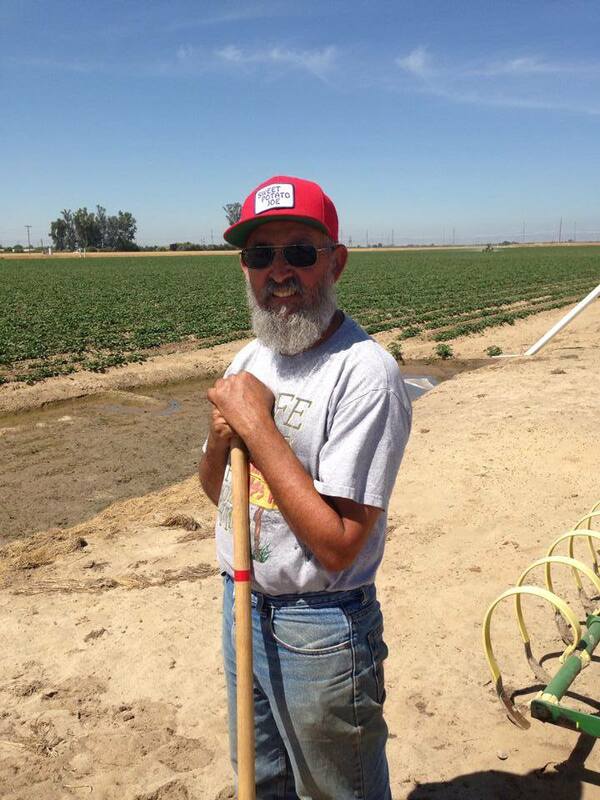 Arnold Farms in Merced County grows peaches and sweet potatoes. 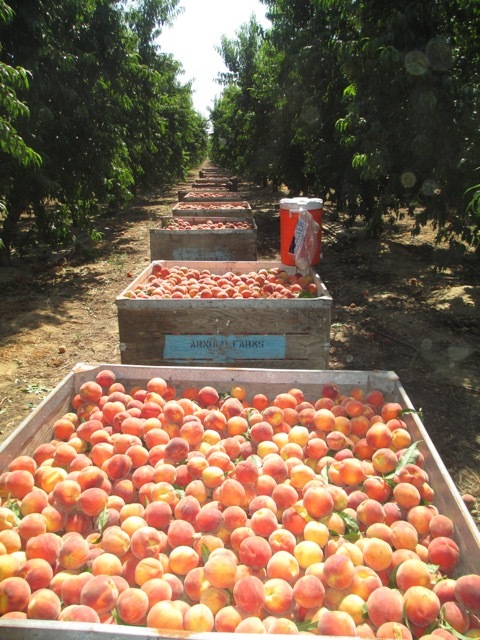 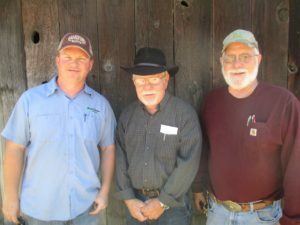 Their family farm, run by brothers Glenn and Bill Arnold and Glenn’s son Craig, has been operating in the central valley for over 100 years – so they know a thing or two about growing peaches! 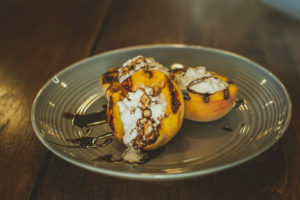 Being that its national peach month, we wanted to share how the Arnolds grow and care for their peaches, plus a yummy way to eat them off the grill. 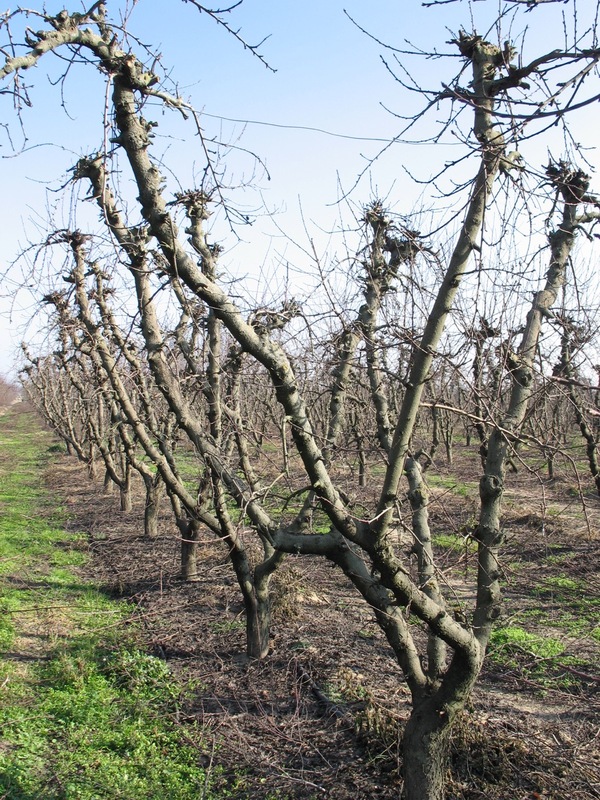 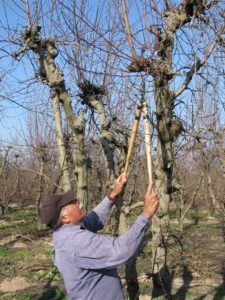 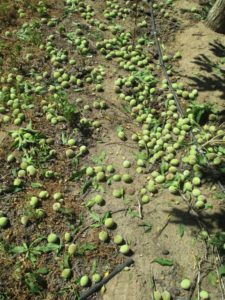 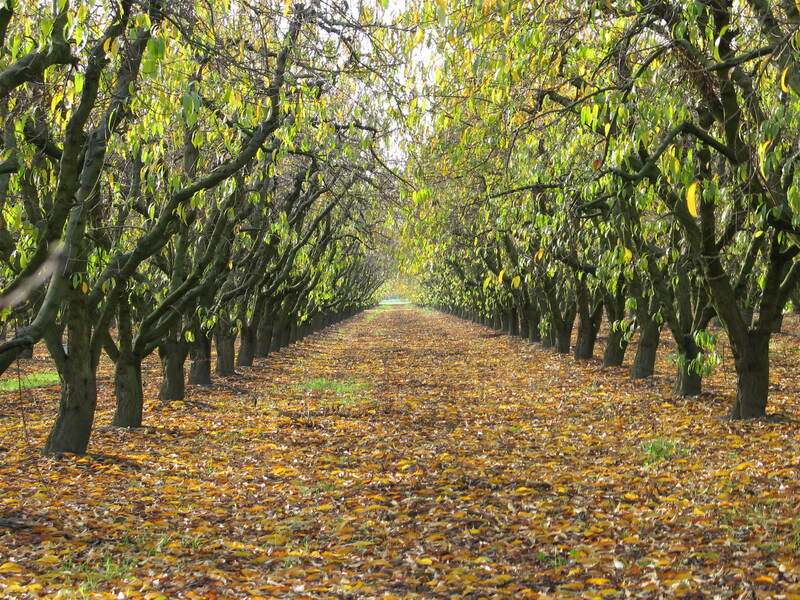 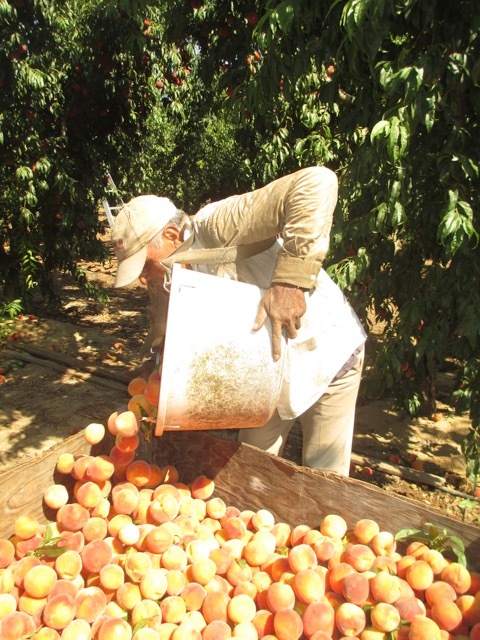 Peaches are an important crop for the Central Valley – they flourish here because of our Mediterranean climate and deep alluvial soils. 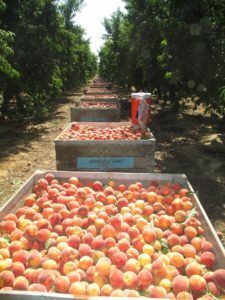 Peaches for fresh market, sold in the grocery produce section, are grown mainly in Madera, Fresno, and Tulare counties. Processing peaches (which are canned or frozen) are found in the Yuba City region, Southern San Joaquin County, Stanislaus County, Merced County, and the Kingsburg area. 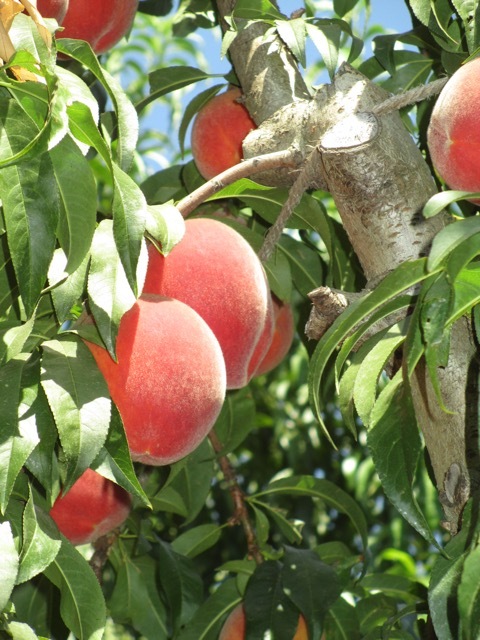 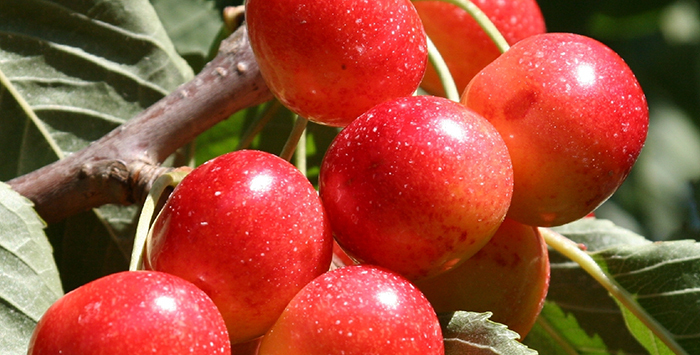 There are two types of peach – freestone and cling. Fresh market peaches are always freestone. 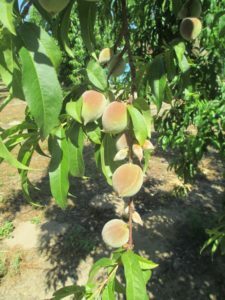 If your mother canned peaches at home, she probably used cling peaches because the firm flesh does not get mushy during cooking. 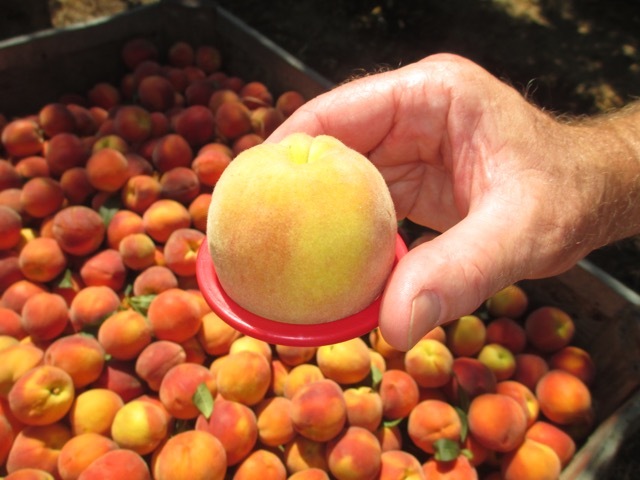 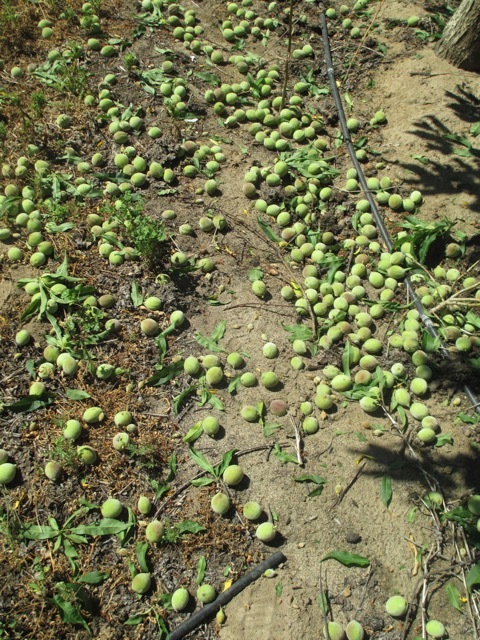 Because of their durability, processing peaches are mostly clingstone – but sometimes freestone. 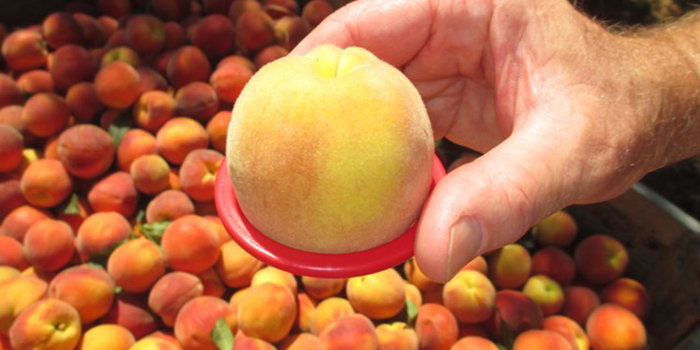 Processing peaches can be canned, frozen, or otherwise processed (like in yogurts). 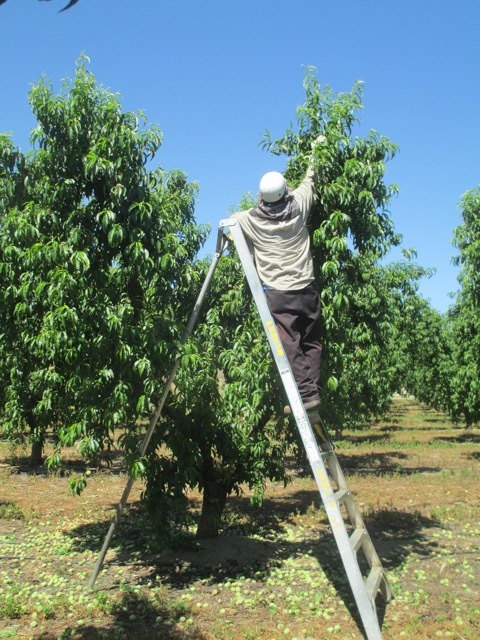 For example, the Dole processing plant in Atwater (Merced County) makes instant quick-freeze sliced peaches that are prized for making pies. 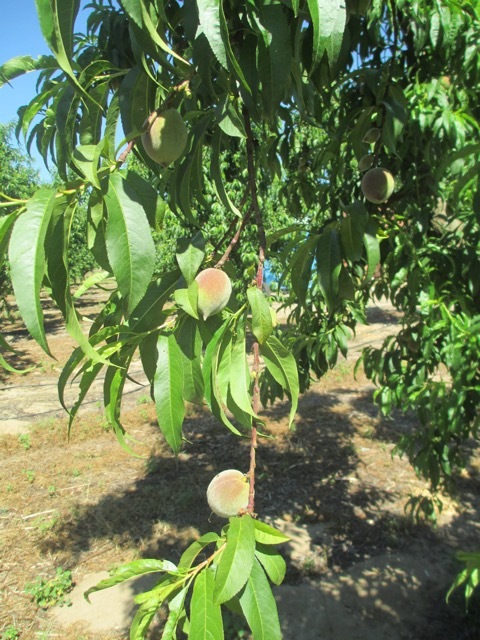 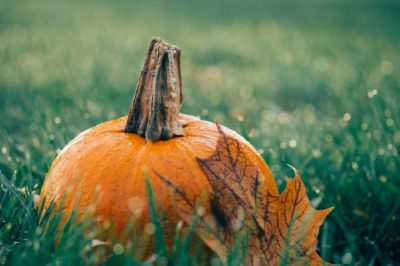 “There is little nutritional value difference between fresh, canned, or frozen peaches so there is no need to eat foreign peaches in the off season – use frozen or canned,” said Craig. What’s it Take to Grow a Peach? Fruit on the tree just before thinning, all done by hand. 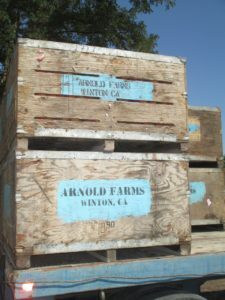 Fruit bins in tree row will be loaded onto trucks and taken down the road to Dole for processing within hours!